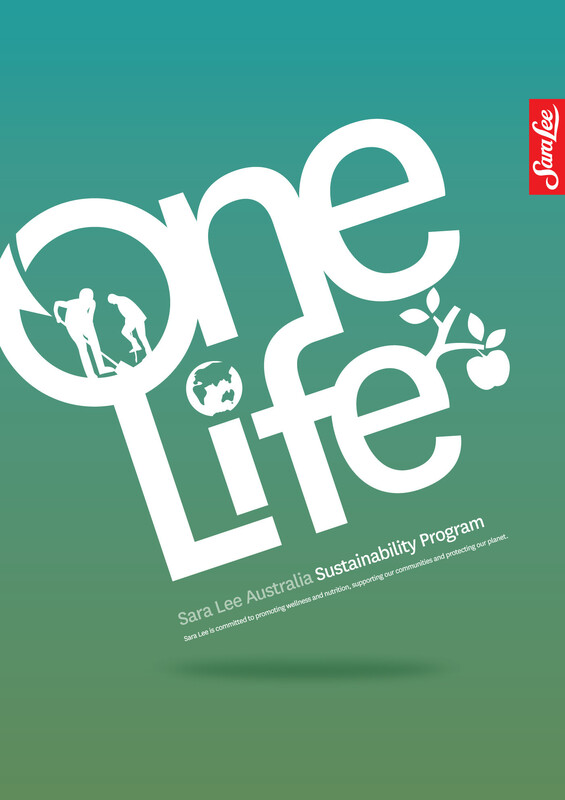 Project involved development of an identity and marcomms program to communicate Sara Lee’s commitment to sustainable practices, engage the business as individual partners of change, and create momentum toward achieving corporate targets and facilitating continuous improvement. 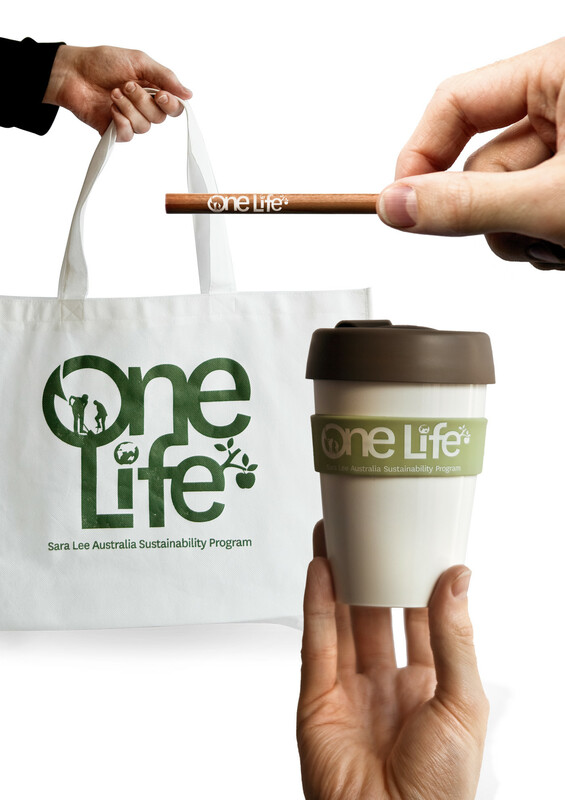 We proposed the campaign name ‘One Life’ to encapsulate the concept that small steps enable positive change, just as individuals are effective when acting toward a common goal. 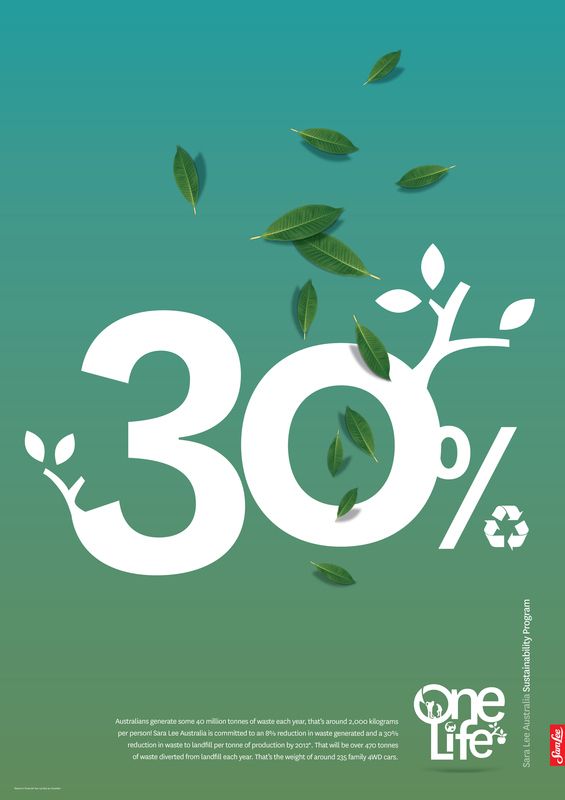 We have a commitment to one planet, one life, one chance to make a difference – one step at a time. Hence the identity symbolises the minor actions of many, and reflect key focus areas for the business. Assisting engagement in the program involved development of communications at various touch points across the business – from launch materials, to incentives and education pieces, to inspirational tools. 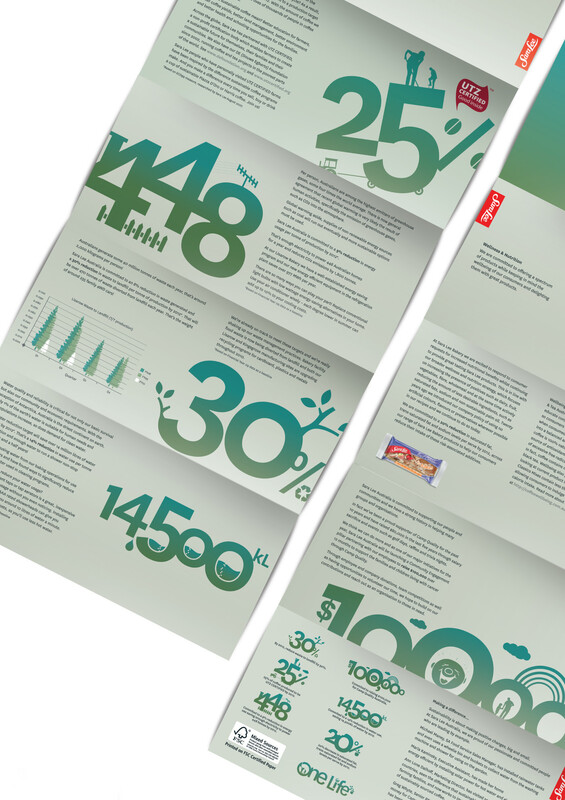 The program launched in February of this year, and the results to date have been outstanding both in terms of employee engagement and goals being exceeded months in advance of their target dates.